It goes without saying that the boiler is very much the heart of any home. Without heating and hot water our lives would be considerably less comfortable. So, when a boiler breaks down the potential disruption can seem daunting. reliable and caring boiler replacement service throughout the Haywards Heath area and right across the South East. Having your boiler replaced or a new heating system installed doesn’t need to be disruptive, our skilled technicians are able to offer a service that will have your hot water and heating working perfectly in no time. The first question anyone has when their boiler breaks is “can it be repaired?” For many people the idea of a new boiler conjures up images of disruption and cost. The team at BSW are aware of this and make every effort to repair an existing boiler. However, sometimes it is simply either too expensive or too dangerous to fix. In either case BSW are able to help you choose a new unit and organise the entire boiler replacement service which will leave you with a safe, efficient and guaranteed new boiler to keep you and your family warm for years to come. The fears about disruption, cost and mess are generally unfounded. As a company we work to very high standards and these include working incredibly hard to minimise the inconvenience caused by having a boiler replaced. Boiler replacement does not need to be something that leaves you without hot water for days at a time either. We can make sure it is a smooth and stress free process that will leave your house warmer and safer than it was before. We are based just outside Haywards Heath so we know the area and are a truly local company. 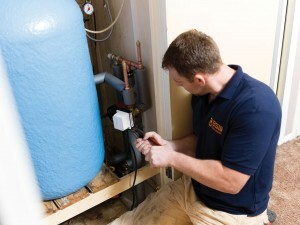 Our boiler engineers are all highly qualified technically as well as being Gas Safe and HETAS registered. We are approved installers of major brands like Worcester-Bosch and Glow Worm as well as many others. This means you are in very safe hands when it comes to making sure your boiler is fitted properly and working safely. If you are looking for a new boiler replacement in Haywards Heath then get in touch with us today by filling out the form below or speak to our friendly team on 01444 831138 about how we can help.